1. Go to Management > Integration > Xero. Or locate the Accounting Software Integration on your projects dashboard. 2. 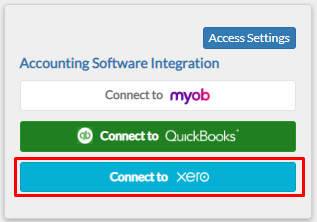 On the Xero tab, you can see the status of your integration with Xero. 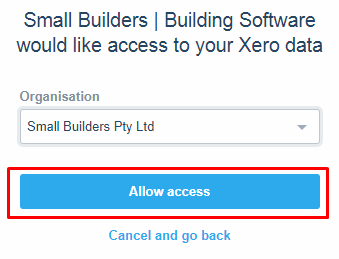 If you want to connect your Small Builders account with Xero, click Connect to XERO button. Status will display as “Connected” in green text if your Small Builders account is already connected to your Xero account. 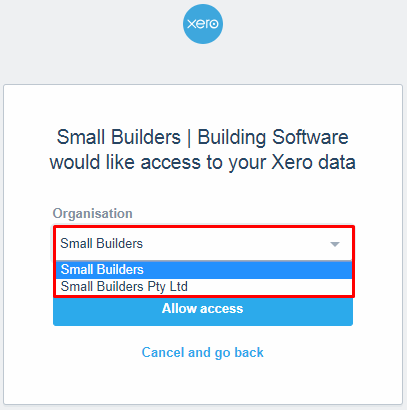 Status will display as “Not Connected” in red text if your Small Builders account is not connected to your Xero account. 3. Proceed by filling out your login credentials. If you are already logged in to Xero, this step will be skipped. 4. Choose which organization you would like to connect by clicking the dropdown menu. 6. Once you have completed these steps, you will be redirected to your Small Builders portal. 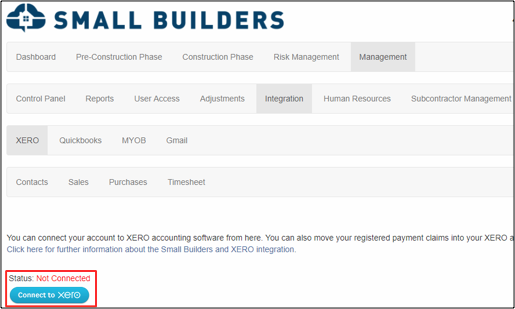 Your integration status on the Small Builders Xero tab will show your status as “Connected”. The red “Disconnect” button will also be shown.